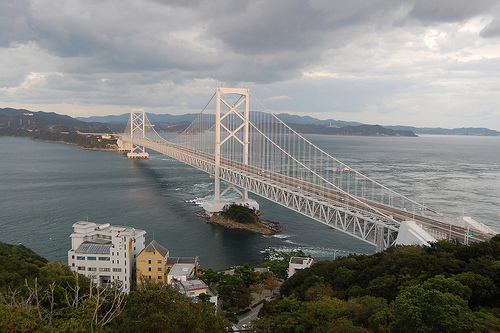 Naruto is a city in Tokushima Prefecture, where it is famous for the impressive Naruto whirlpools and the great view from Naruto Park, which is next to Onaruto Bridge and Naruto Strait. 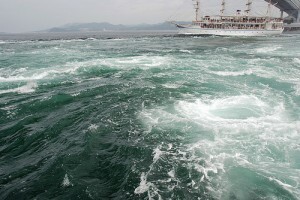 Found in Naruto Strait which is between Naruto and Awaji Island, Naruto whirlpool is the third or fourth fastest current in the world, at 20 km/h, creating vortices up to 20 m in diameter. 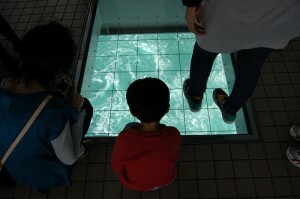 The whirlpools can be observed from tour boats or Uzu no Michi, a walkway under Onaruto Bridge. 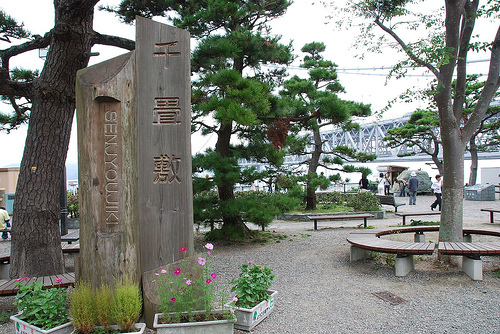 Naruto Park is a part of Setonaikai National park and has several view points. The most popular viewpoint in the park is Senjyoujiki Observatory. On the top of the hill in the park, there is another best viewpoint, Eska Hill. 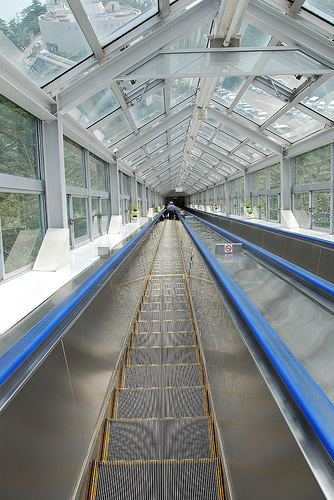 To get its panorama observatory, visitors take a 68-meter long escalator, which is one of the longest escalators in Japan, and said to be highest (34-meter) in the East (according to the official site). 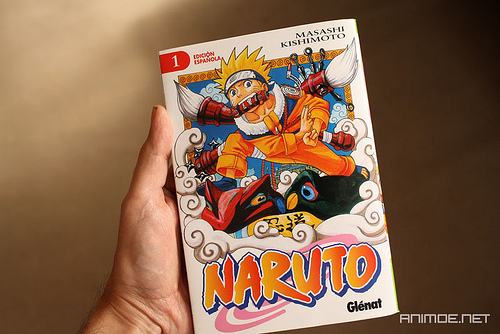 Naruto City Tourism Association has featured manga and anime series NARUTO in the city’s festivals to reinvigorate the city. NARUTO symbol fireworks and NARUTO gift certificates pleased the fans last summer.